Magic Lips in an original outfit. 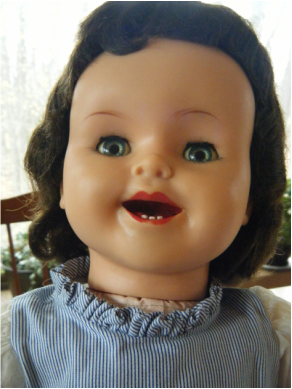 The vinyl on this doll's head is "sticky". The grille pattern is cut into the fabric of the tummy to allow the crier to make its sound. The repaired seam. The material is not strong enough to stand up to "play" but is okay for "display". 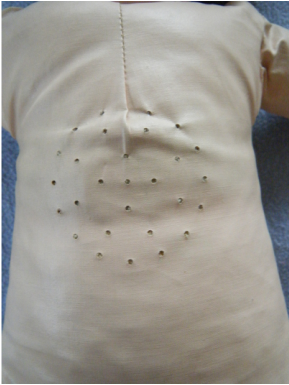 Removing the clothes reveals a plasticized cloth body with a hole pattern in the tummy. 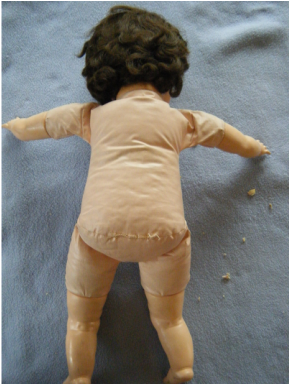 Vinyl limbs and head are attached to the cloth body with wire. 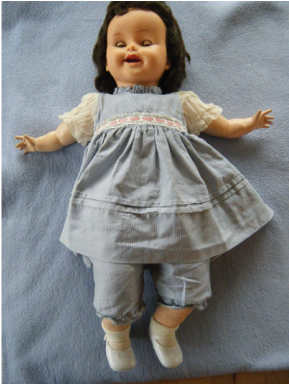 The doll seems to "cry" sporadically without the lip action. The internal crier is most likely damaged. 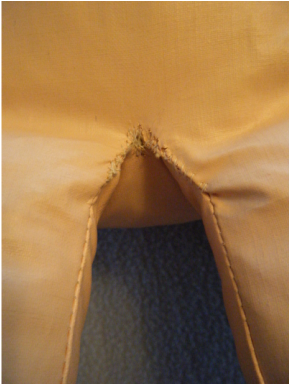 A major concern is the failed seam in the crotch area that allows stuffing to fall out. Doll cleaner removed most of the dirt on the sticky head - it also removed a little of the lip coloration on the lower lip. Notice the teeth and tongue. 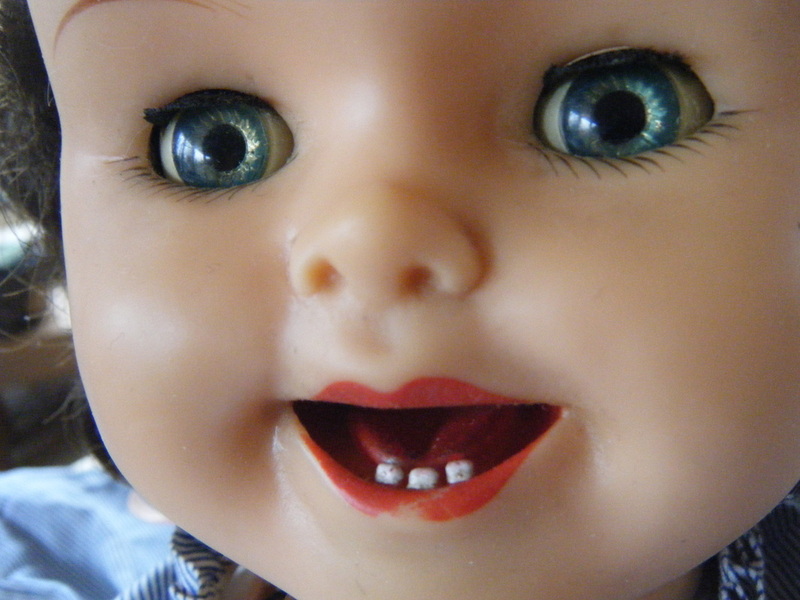 There is no way to access the magic lips/crier mechanism without opening the seams in the doll. 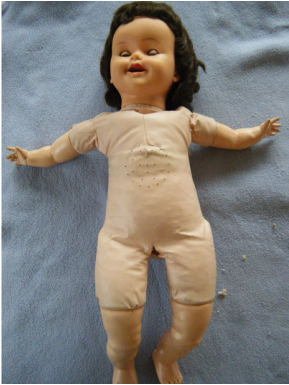 This operation was deemed more likely to damage the delicate doll than allow it to be repaired.